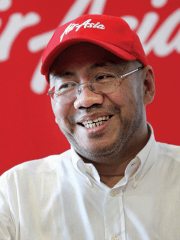 LATE last week, AirAsia X Bhd (AAX) confirmed what had been rumoured in the market for months — CEO Azran Osman-Rani is leaving the company. Co-founder of Tune group Datuk Kamarudin Meranun will take over from Azran. Meanwhile, Benyamin Ismail will be acting CEO of AAX. According to a statement by AAX, Kamarudin will “spearhead developing the overarching strategy for the AAX group, which comprises AirAsia X Bhd, AirAsia X Thailand and Indonesia [and] AirAsia Extra”. Benyamin and Kamarudin “will lead the reorganisation and turnaround exercise [of AAX] to strengthen the company’s balance sheet and to maximise profitability to ensure a stronger financial footing for the company”. The budget airline has also proposed a cash call in the form of a renounceable rights issue with free warrants in the hope of raising RM395 million, which will be utilised to service its loans and as working capital. These developments have been anticipated by many in the industry for several months. However, the question is whether the problems at the long-haul budget carrier will be resolved with the changes. “It looks good having Kamarudin take over; he has earned the respect he gets. It’s nothing personal that Azran has to go, it’s how it is with business. Emotions have no place in business,” says a market watcher, alluding to how Azran reacted when faced with the decision to resign. However, it looks as though Kamarudin and Benyamin will have their hands full. AAX’s share price has been trading below its initial public offering price of RM1.25. It closed at 65.5 sen last Thursday. One analyst points out that AAX’s cash balance has depleted considerably, and is a major cause for concern for the loss-making airline. As at end-September last year, the budget airline’s cash and bank balances stood at RM124.6 million, down nearly 53% from almost RM263 million at end-2013. Of the RM124.6 million, RM60.5 million were deposits with licensed banks as restricted cash, up from RM50.9 million at end-2013. AAX has also seen a substantial increase in trade payables which doubled to RM696.4 million from RM346.8 million at end-December 2013. AAX explains in the notes to its financial statements that these payables include operational expenses to airport authorities, passenger service charges, security deposits and customer prepayments of charter and lease. As at end-September 2014, AAX had RM1.5 billion in long-term debt and RM497.1 million in short-term borrowings. It is noteworthy that as at end-September 2014, around 96% of AAX’s total borrowings of some RM2 billion were denominated in US dollars. Given the weakening ringgit, this could be a cause for concern. AAX’s operating expenses, including staff costs, fuel expenses and aircraft operating lease expenses, soared by 55% to RM2.4 billion at end-September 2014 from RM1.5 billion previously. For the nine months ended Sept 30, 2014, AAX suffered a net loss of RM350.9 million on the back of RM2.1 billion in revenue. Its biggest loss came in the third quarter when it suffered a net loss of RM210.8 million. It was also its fourth consecutive quarter of net operating loss. AAX attributes this to “seasonally lower demand for air travel in the third quarter of the year” and a higher unrealised foreign exchange loss as a result of the stronger US dollar. However AAX is optimistic on its prospects. In the notes accompanying its financials, it says, “Our experience suggests that new capacity typically takes about 12 months to break even. Based on forward sales to date, we expect to start generating positive year-on-year RASK (revenue per available seat kilometre) growth in the last quarter of . The statement, however, was made before the crash of QZ8501. In a nutshell, Kamarudin and Benyamin will have their hands full with AAX.